Our litigation team’s approach to contractual disputes is conciliatory, commercial and practical. We want to see the dispute resolved as quickly as possible, at the lowest possible cost and on your terms, so you can get back to business. 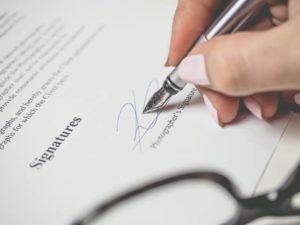 We have been advising Victorian businesses, individuals and contractors on contractual disputes for over 35 years, and know how to navigate a dispute to achieve the best outcome for you. Our approach involves sitting down with you so that we can understand how the dispute arose, the relationships between the parties, what outcome you are looking for and what the other party’s drivers are. We will then provide you with advice on the best strategy to adopt that is most likely to secure the results you want to see. Acting for you in recovery proceedings. Why work with Beck Legal? Beck Legal understands that litigation is expensive, time consuming and stressful. We generally view it as a last resort and will only recommend it if we consider your prospects of success are reasonable and you have a good chance of actually recovering your loss, damage and legal costs from the other party. Our litigation team will work with you to come up with the best resolution strategy and will work hard to achieve the outcomes you are looking for. For more information about our contractual disputes services, get in touch today. We will be sure to get back to you shortly. Are you filling this form out on behalf of yourself? Is there a particular team member you wish to speak with? We are a legal service provider who challenges the status quo by focusing on innovation and benchmarking ourselves against other great businesses across all industries, refusing to only compare ourselves to other legal service providers. To attract and retain great clients you need to run your business like other great businesses.